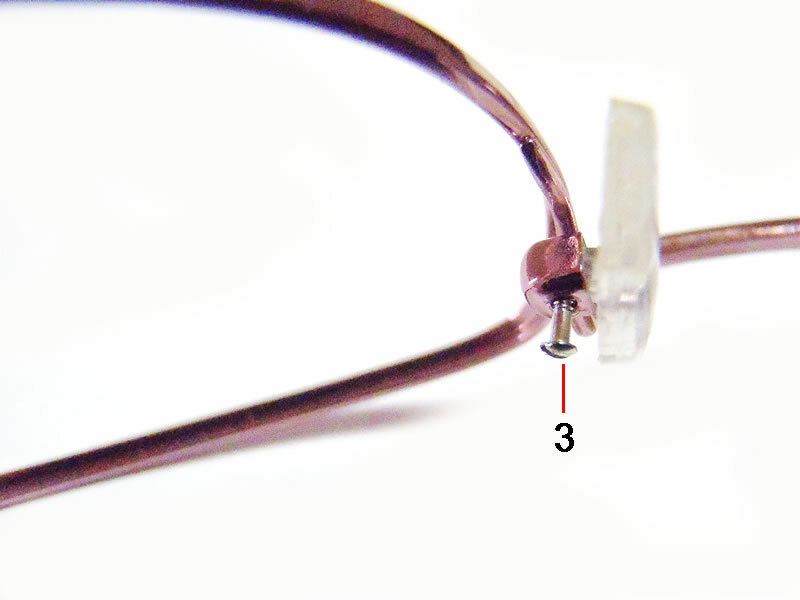 For a better understanding, I show you the main eyeglass screws problems with a three-part presentation. The screws are those components that bring the glasses parts together, being responsible for the stability, mobility and glasses comfort. They have various shapes and are made from different materials like iron, zinc and steel. 1. Screws that hold the lens fixed to the frame: they are available on frame front. 2. Screws that hold the temple fixed to the frame front: with the help of a hinge, the screw gives mobility to the temples, joining the two parts of the hinge. 3. Screws that secure the nose pads: contribute to your comfort, because of this screws, the nose pads are moving and match your nose shape. 4. Threaded ends that secure the temples or nose bridge directly into the lens: in the case of frameless eyeglasses (rimless eyeglasses), the dwelling for the screw are made directly into the lens. 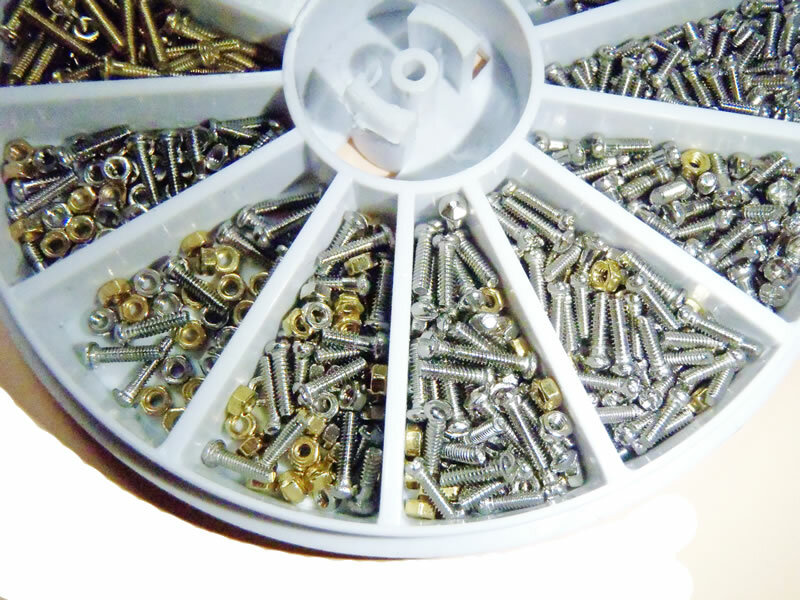 This type of screw is replaced sometimes by plastic caps that fit the hole, with an increased resistance and higher reliability. 1. Problem description: in time, any screw becomes used and can unscrew. If you don't note that, you may lose it. 2. The solution: I use clear nail polish, which I suggest you to. Put it over the screw head and prevent unscrewing. Any other adhesive can dissolve the color from the glasses or can result in permanent locking of the screw. If, at some point, the screw must be removed (due to a broken temple, must change the lenses or nose pads), transparent nail polish do not damage it and is easy to remove. 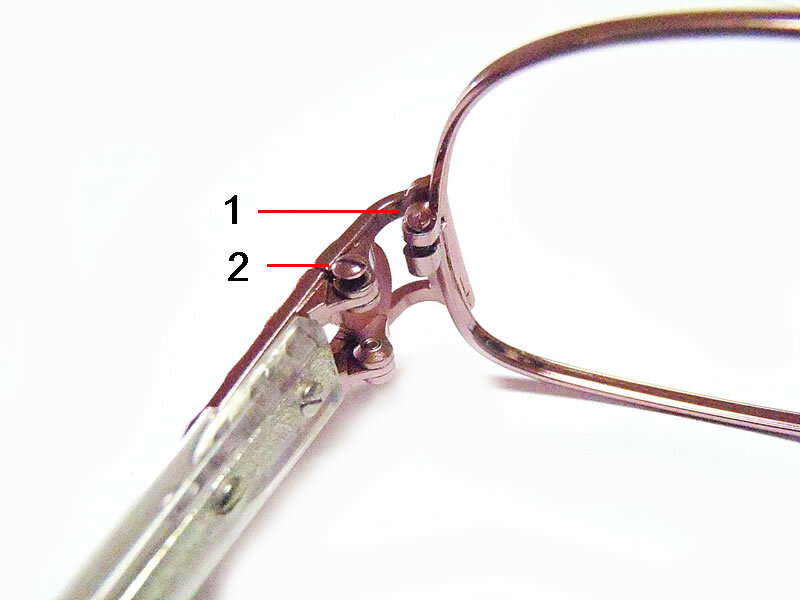 If you lose a screw, it must be replaced as soon as possible so you can safely use the eyeglasses. You can do it yourself if you have at hand matching screwdriver and screws, or any optician can help. 3. How to avoid: if you notice any screw becoming weak don't let the time to pass, it must be screwed back quickly. Applying nail polish on the screws prevents unscrewing and loss. 1. Problem description: if the frame is subject of intense mechanical actions (you sit on them or step on them), eyeglass screws can break. Usually the screw head breaks and the rest remains in place. 2.The solution: the screw must be replaced entirely. You need to see a specialist to remove the rest of the screw and put another in place. 3.How to avoid: When you don't use the eyeglasses keep them in a shock resistant case. 1. Problem description: screw locking happens when you put glue on its head or when you bent the temple extremely hard, so it gets stuck, and screw can’t be removed. 2. The solution: The screw must be cleaned if glue was placed over and replaced if the blockage has other mechanical causes. At our store, we make this repair, but sometimes is difficult to clean and replace the screws. Call for an optician, because it’s a difficult task and you risk spoiling the frame or scratch the lens if you do something wrong. 3. How to avoid: applying nail polish instead of glue and use a case to protect the frame. 1. Problem description: the screw head is damaged if you make wrong moves when you unscrew or use the wrong screwdriver. Also if you use glue on the screw head, over time it may be damaged. 2. The solution: replace the screw with the damaged head. If you manage to unscrew it you can do it yourself, but if not, turn to an optician. 3. How to avoid: turn to a specialist for repairs and avoid damaging the glasses by improper handling. If you still have to replace or tighten a screw, use the right screwdriver to avoid spoiling the screw head. Eyeglass screws play a vital role in the mobility and comfort of the glasses. So be careful that they are always in excellent condition and replace them as soon as they are damaged.